After the ceremony its reception time in the tent! I am happy to say the sun is out, the birds are returning, the snow is melting and spring is finally in the air! Inquiries have been coming in, call now to reserve your spot this summer and rest easy knowing you are in good hands. Bands, backline, live music, Pro Wedding DJ, and Lighting all under one roof, put our years of production experience and personal attention building custom events to work for you. New for 2015 we have 2K$$ of LED Lighting available. 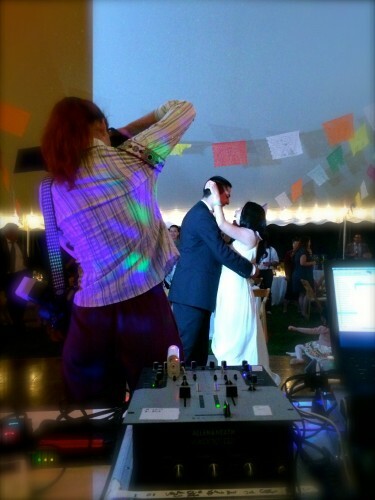 Cool color bars and different sized lights for uplighting, tents, trees and the dance floor! There are many ways we can help you plan for your wedding reception. Equipment for live music, bands, in your ceremony, cocktail hour or reception. Engineering experience for the all your sound needs. From the Block party, Backyard Pig Roast, or inmate gathering for friends and family we have done it all. Also, our checklist will help you and yours with the planning process. I get front row seats to many special moments, its one of the joys of what i do! Sorry to say many days are taken already, please use the contact form here or give me, Patrick Quimby, a call for availability. Are you frustrated with some of the pricing quotes out there? Find you are just starting out a new life and working within a strict budget? The best part of A PQ Production is being flexible with pricing and still delivering a quality experience! The #1 reason people find and pick me is the attention to detail and the one on one service, quality custom events are my specialty. Here are a couple pics from last year, more to come…its been an honor to be an integral part of your special day! To close out the night they chose a special song, while the wedding party waited to greet them outside with sparklers! 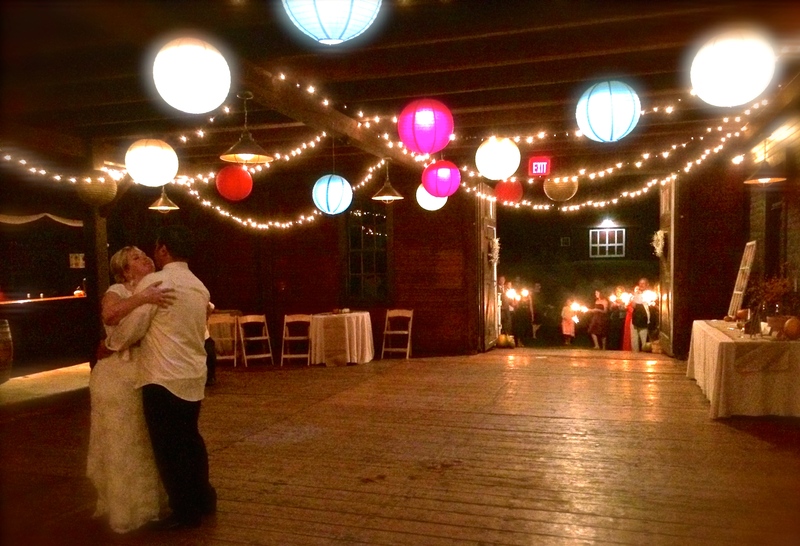 ← 2015 Vermont Wedding DJ booking now!